Published Nov 19, 2014 by Addison-Wesley Professional. Part of the LiveLessons series. Learn the basic iOS patterns and understand the concepts of navigation, views, controllers, controls, and events. Learn to add view controllers to a storyboard, implement storyboard segues and transitions, customize views and controls, and set up static tables. Learn Auto Layout basics, how to use Auto Layout in Interface Builder, how to implement Auto Layout programmatically, and how to debug Auto Layout. Learn how to respond to button taps, handle text entry and display, display text in preferred font, display images, and work with gesture recognizers. Learn how to display dynamic content in tables, respond to table interactions, create custom table cells, and implement forms with tables. Learn how to make a network call, parse a JSON response, upload and download images, and save data. Learn how to perform basic animations, animate Auto Layout views, use basic transition animations, animate table cell insertion and removal, and work with UIKIT Dynamics. Experiment with Swift playgrounds, manage project images in Asset Manager, build and run unit tests, use source control integration, work with the Capabilities tab, and distribute your application. More than 5 hours of video training on fundamental iOS 8 application development, from learning the basics of Xcode 6 to planning, designing, customizing, and distributing your application. 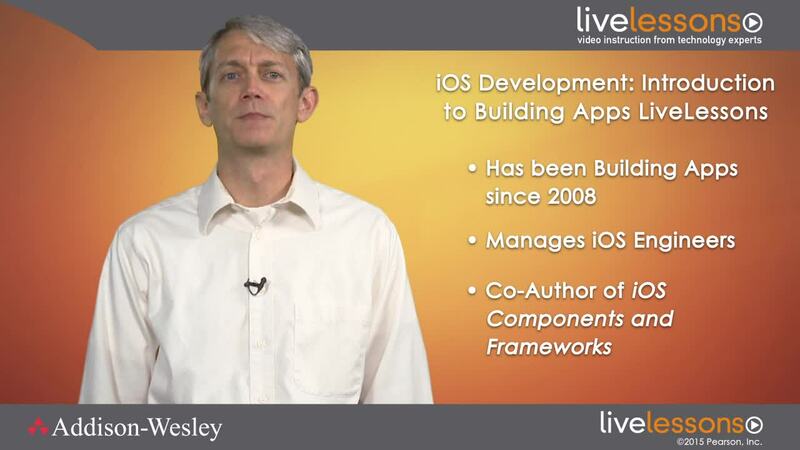 iOS 8 Development: Introduction to Building Apps LiveLessons teaches viewers everything they need to know to build their first application using iOS 8. The most important components of a successful iOS application are introduced. After an in-depth overview of iOS 8 features, including common iOS patterns, views and controls, and navigation basics, viewers learn how to work with storyboards, implement and debug Auto Layout, add custom interactions to applications, use tables inside applications, and much more.